Vicky Devine debuted on the label last year with the excellent "Shape Up". "Facing The Truth" is her eagerly awaited follow up and it again combines a powerful groove with a strong melodic content and that trademark "Vicky Devine" hook. You don't get to become one of the busiest DJ's on the circuit without knowing your music and this comes across in every production with "Facing the Truth" being the best yet. 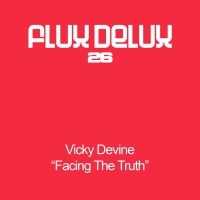 Heavily road tested in Ibiza throughout the Summer to devastating effect and now backed up with an excellent Dan Power's (Nu Depth) Remix, this is a fine start to the year for both the label and Vicky and an excellent follow up to "Shape Up"
'Facing The Truth' is available now from Beatport and iTunes.